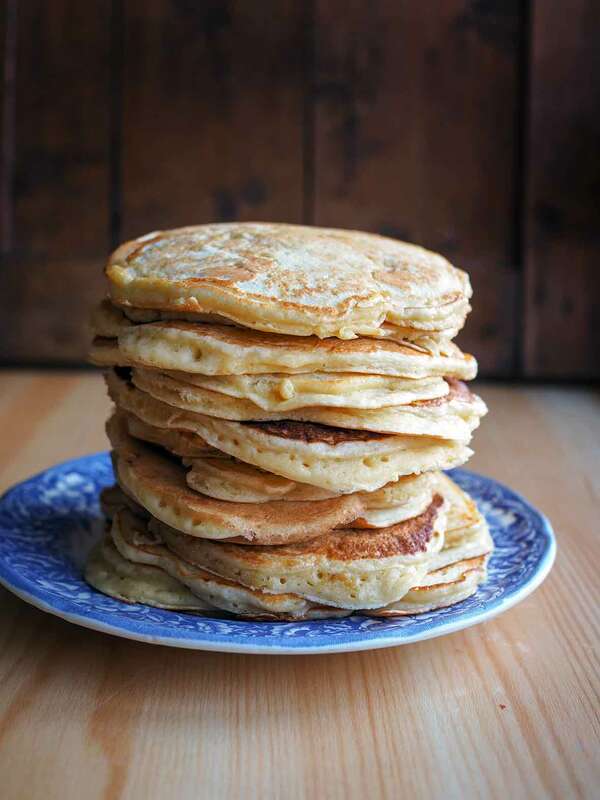 These griddle cakes, also known as svele in Norway, are made with sugar, butter, kefir or buttermilk, flour, and baking soda. They are traditionally served with brown cheese, jam, or sour cream, but berries and fruit are excellent as well. 1. In a large bowl, combine the eggs and sugar and whisk until fluffy. (Note that the fluffier the batter, the airier the resulting pancakes, although rest assured it’s not required to whisk them a crazy long amount of time. A couple minutes will suffice.) Whisk in the melted butter followed by the kefir or buttermilk. In a medium bowl, combine the flour and baking soda, add to the batter, and stir gently until combined. Let stand until the batter begins to swell, 20 to 25 minutes. 2. Heat an electric griddle on medium or place a large skillet over medium heat and lightly slick it with butter. 3. Ladle enough batter onto the griddle or skillet to make several 6-inch (15-cm) round pancakes. Cook just until bubbles appear on the surface and the bottoms are golden brown, about 2 minutes. Flip the pancakes and cook until the other side is golden brown, about 2 minutes more. Transfer to a plate and keep warm. Continue making pancakes, using the remaining batter and adding butter to the griddle or skillet as needed. Griddle Cakes Recipe © 2018 Nevada Berg. Photo © 2018 Nevada Berg. All rights reserved. All recipes and photos used with permission of the publisher. No joke, these were hands-down the best pancakes I have ever made! With such a simple batter, I wasn't expecting such light and fluffy pancakes, but that's exactly what they were. Thick yet light, fluffy and super flavorful. I used low-fat buttermilk instead of kefir and I imagine that is what gave the pancakes such a lovely tender crumb. I served these lovely griddle cakes with some homemade fig preserves, a touch of maple syrup, and some fresh blueberries for sprinkling. As for the recipe itself, this was a lot of pancake batter! I am going to experiment with keeping some in the fridge as directed by the recipe, but I also froze some to see how they defrost next weekend. I would love to try them with some melted butter and sugar as suggested, as well as with a dot of sour cream. This recipe easily serves 8 people for breakfast. Overall, we were delightfully surprised at just how tasty these Norwegian griddle cakes were! They were a wonderful start to our weekend! I also really liked learning about the tradition of Norwegian svele. It’s fun making a recipe where you can learn some cultural facts at the same time! Deliciously irresistible. Pancakes are a rare treat in our house, so I actually made a half recipe to reduce temptation, but we both thought these were definitely worth having. I made them with buttermilk and loved the texture. You can pick them up and they do not crumble or fall apart, you can wrap them around a slice of cheese, and they probably will store or travel fine. Scaling down is easy with this recipe, thanks to weights. The only thing I would consider changing is to use less sugar. After whisking 5 to 7 minutes by hand with a wire whisk, the egg mixture had a thick foamy texture, short of a ribbon stage if you were using an electric mixer. To stir in the buttermilk and the sifted flour mixture, I used a flat silicone whisk, gently folding it and then giving it 25 minutes to rest as it was a cold morning and the kitchen temp seemed to make the batter a little slower in swelling up. In a cast iron pan, a smidge of butter brushed on was all that was needed and I added a little bit every 2 pancakes. Surfing for the best temperature, I tried to keep the pan around 300℉, between a low and medium setting, so timing varied a little from 90 seconds to 3 minutes a side, trying to get a consistent brown without scorching. The batter rises up a bit as it heats through and the bubbles come thru, and it is easy to flip, though if you made them a little smaller, that would work even better. I kept a warm pan in the oven, set to 140℉. None of the pancakes stuck to each other! We packed up the extras with a small square of waxed paper between each pancake to make them easy to remove after refrigeration. We ate ours with some breakfast cheese as well as trying with a smear of peanut butter, which explains why we had to have a second one each. Research! I think ONE is a serving but they are so “moreish” that, realistically, folks will be reaching for a second one, especially if lingering over a brunch socializing. These are a solid winner and easy enough to make on holiday weekends when you have hungry happy folks around to share and you can even delegate whisking. I also saved a couple and gave some away, and wanted to pass on that they held up beautifully as long as 3 days, reheated gently in a cast iron skillet. I stored them separated by parchment squares in a resealable plastic bag. Feedback from everyone was how impressive they were several days on, and that they handled just as nicely without crumbling or breaking apart. This recipe is a winner. These griddle cakes remind me of the lingonberry crepes that were part of my youth. Easy enough to cook for even an amateur yet pleasingly different in taste. The slight tang provided by the sour milk makes them a somehow more festive alternative to the pancakes and syrup more easily available. I made these with buttermilk instead of kefir since my grocery was out of plain kefir on the day I did my shopping. I served them first with butter and sugar. My second batch received the same topping I give regular pancakes, which is fruit and whipped cream. It was while defrosting the strawberries for topping I remembered that my grocer was out of regular kefir but had strawberry kefir available. Sometime in the future, I may test one of the fruity kefirs to see what impact it would have on the product. As for now, both toppings were successful. My twist: Silver Dollar Svele! A ton of them stacked in a basket or other attractive vessel surrounded with myriad dips. Oh my. In Alaska we call lingonberries low-bush cranberries, but they are one in the same. They are everywhere! Love your twist, Andi! Envy you those lingonberries. So appreciate you taking the time to comment…! Thank you. I have officially called a Pancake Jamboree for this Sunday. No one in the family can refuse. Old tradition. Gonna feed the kids around the neighborhood, too! Uff da! Gonna need a bigger griddle…. Laughs. Loooooooooove everything about this! Send us pictures, if you don’t mind! PS: You can sit in one place in a Lingonberry patch and pick half a gallon without getting up for a new seat…in the same patch! I love the little darlings! Favorite recipe is a Meat Sauce, I make. On Moosemeat, it will roll your eyes right outta your head! Okay now you’re just tormenting me with your easy access to those little lovelies! Laughs. I’ll try to send pics. Should be great fun! Pancake Jamborees always are. Usually Sourdoughs, these will be your recipe. I’m so excited, I just might make a batch for me! Big ones. Freezer Fodder, and mostly for a late night dessert. Yes, we must always be safeguarding for the late night dessert so that it’s readily accessible! I so love how you think, Andi. Have a lovely time at your jamboree! Yes, we must always be mindful of ways to quickly sate the late night dessert cravings! I so appreciate the way in which you see the world, Andi. Have a lovely jamboree and I look forward to stories and accompanying photos! Pancake Day is today in the UK! 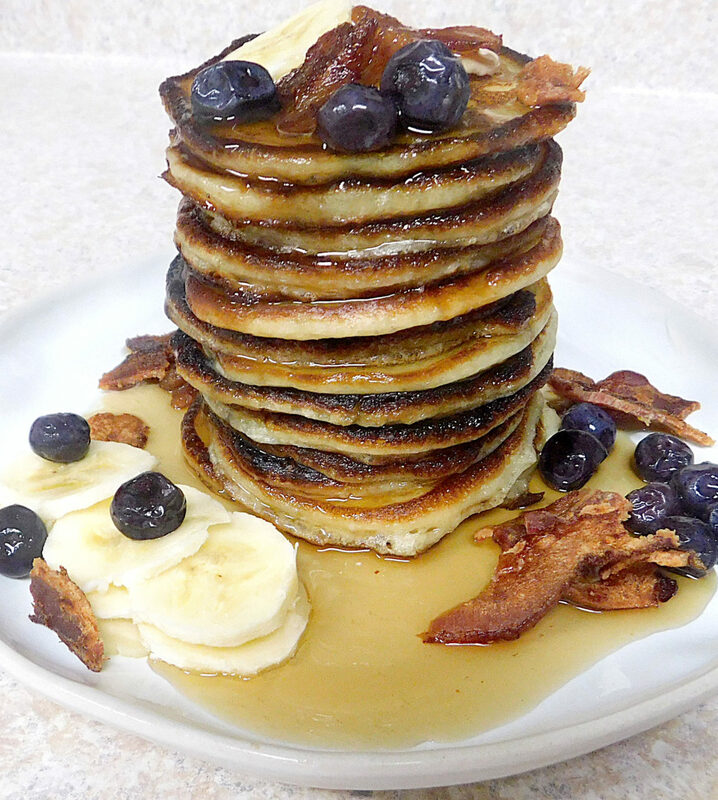 This is a fab recipe for griddle cakes. Tasty and fluffy. Very similar to my normal pancake recipe. I did sub buttermilk as that’s what I had. This is a large recipe so could be halved easily. I made the whole recipe and it saved well in the fridge as we had lots of pancake snacks for a couple of days. We served with maple syrup, cream and strawberries, and honey. Excellent, satisfying and child-approved! 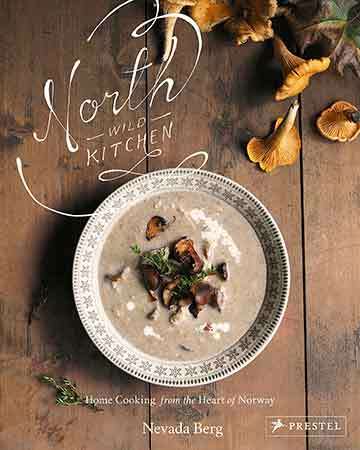 Next time, would definitely like to try with lingonberry and cheese. Happy Pancake Day, Virginia! So glad you liked it! These are fantastic! They are so light and fluffy. I made them for Sunday brunch. I think they key to the fluffiness is whipping air into the eggs and sugar. Also, allowing the batter to sit for a while gives the flour time to absorb the liquid. Makes a difference! Thank you so much! Cheryl, those are KICKASS! Thank YOU for this photo! !